On 8th February 2015 following the German Masters, the current seedings list will be revised for the fifth time this season and will be used to determine the seedings for the Indian Open, China Open and Shoot Out tournaments. 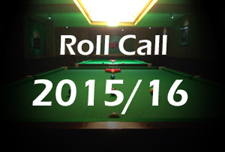 By the time of the revision, money earned from the 2012 APTC1, 2012 Wuxi Classic, 2012 Australian Goldfields Open, 2012 EPTC1, 2012 EPTC2 , 2012 APTC2, 2012 Shanghai Masters, 2012 UKPTC1, 2012 UKPTC2, 2012 UKPTC3, 2012 ET3, 2012 APTC3, 2012 International Championship, 2012 UKPTC4, 2012 ET4, 2012 UK Championship, 2012 ET5, 2013 World Open and 2013 German Masters will have been deducted and replaced by those from this season’s events up to that date. 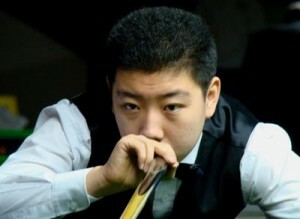 Following a number of changes to the top ranking in recent weeks, Ding Junhui currently occupies the world number one spot, having moved back above Neil Robertson following the removal of points earned at the 2013 World Open last week. 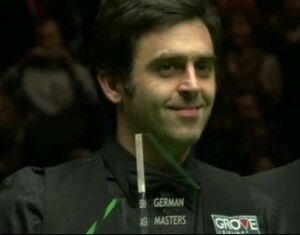 As we look towards Sunday’s next seedings revision however, there is a real four-way battle to become world number one after the German Masters, with Ronnie O’Sullivan now in real contention to do so for what would be the first time since May 2010. 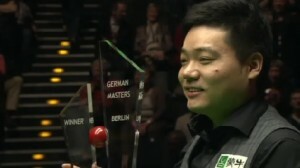 In fact, on the latest projected seedings list, Ding leads O’Sullivan by just £1,008, essentially meaning that O’Sullivan would overtake the defending champion if he is able to progress one round further than him in Berlin. Both in the top half of the draw, Ding and O’Sullivan are on course to collide at the semi-final stage, if they are both able to make it that far. 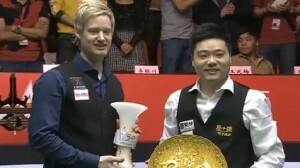 As for Neil Robertson, having reached the semi-finals of this event a couple of years ago, the Australian drops back slightly heading into the tournament and stands £11,927 behind Ding. 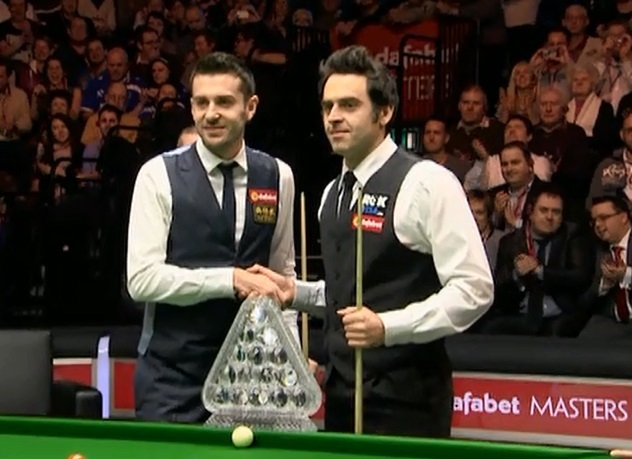 Because of this, Neil will need to reach at least the semi-finals in Berlin if he is to stand any chance of reclaiming top spot, while if Ding or O’Sullivan were to reach the quarter-finals, Robertson would need to make it through to bottom half of the draw to the final. If Robertson were able to make it to the final, that would be enough for him to take top spot, unless he were then to lose to either Ding or O’Sullivan on Sunday. 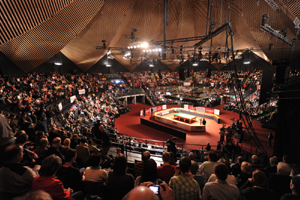 Finally, Mark Selby is also in with a mathematical chance of taking the title and for him the equation is simple, with nothing other than a run to the title enough for the 2011 Berlin runner-up. Victory would however be enough to guarantee that he would return to the summit of the rankings. Though a bracket of less importance, it is always useful for a player to be seeded inside the top 8, as it means that he will avoid having to face a fellow top eight seed until at least the quarter-final stages of an event. With there likely to be absences from both the Indian and China Open events, players likely to opt out of Beijing to assist with their preparations for the upcoming World Championship, I suspect that those who narrowly miss out will not yet be out of the running, but it is nevertheless worth taking a look at the standings. 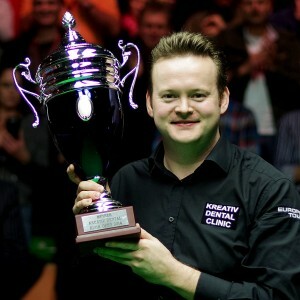 Turning to the latest projected seedings list, with 8th placed Ricky Walden having already lost in qualifying for the event, the opportunity exists for either Shaun Murphy or Mark Allen to leapfrog the 2014 International Championship winner and claim a top eight seeding for India and Beijing. For Shaun, he will need to reach at least the semi-finals in Germany, while nothing less than a run to the final would do for Allen and interestingly, the two are set to meet at the last 16 stage this week if they can come through their opening round matches. As ever, the players will be targeting a place in the top 16, not just after Germany, but in particular after the following cut-off, which will determine the seedings for the World Championship in April. 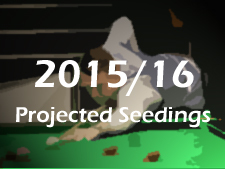 As explained previously, one thing that we do know for certain is that Ali Carter is guaranteed to take one of those places, following his seeding freeze as announced in October 2014. To avoid confusion, this is reflected on my latest projected seedings list, so it will be the top 16 on that page who will qualify. The first thing to say is that for this cut-off at least, everyone down to and including 14th placed Joe Perry is safe inside the top 16, meaning that effectively there are the two spots currently occupied by John Higgins and Robert Milkins up for grabs heading into Berlin. 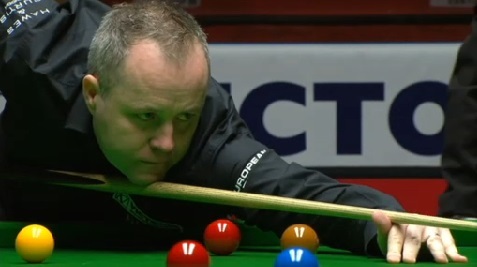 For Higgins, only an early exit for the Scot, combined with the unlikely result of Xiao Guodong defeating Mark Williams in the final would be enough to see him fall out of the top 16 after this tournament. On paper, there would be other possibilities, but due to where the players have been placed in the draw, this is the only possible scenario that could now actually happen to knock Higgins out of the top 16. As for the 16th and final place, this is currently occupied by Robert Milkins, who crucially is already out of the tournament, having lost in qualifying. 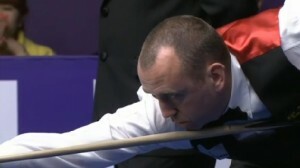 As a result, 2011 German Masters champion Mark Williams needs to win two matches this year to reach the quarter-finals if he is to overhaul Milkins. Beyond Williams, Mark Davis would need to reach the final to pass Milkins, while Xiao Guodong, Ryan Day, Liang Wenbo, Michael Holt and Martin Gould would need to claim the title. More a bracket of historical significance these days than practical benefit, barring a better seeding with the top 32 players avoiding each other for another round, 32nd place is currently occupied by Rod Lawler on £96,333, who is already out of the German Masters. In terms of the chasers, both Mark King and David Gilbert would overtake Lawler with a single win in Berlin, while Matt Selt would need to reach the quarter-finals to move up to what would be a career-high ranking ahead of Lawler. 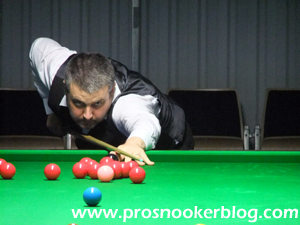 Jimmy Robertson would require a run to the final, while anybody else needs to take the title if they are to vault significantly up the ranking list. For me, the top 64 has become one of the most crucial seeding brackets in recent years, with those inside that bracket potentially giving themselves a much easier opening round match than those narrowly missing out. As well as that, the bracket takes on even greater significance at this time of the year, with places in the Shoot Out up for grabs. While this event is not everybody’s cup of tea, the guaranteed prize money that comes with it, as well as the TV exposure on SkySports is something that the players do value. In terms of this cut-off, the only man still in the tournament who is immediately capable of ousting current 64th man Jimmy White is Li Hang, who needs to defeat countryman Liang Wenbo to guarantee himself a top 64 place ahead of the Whirlwind. Beyond Li, those remaining in the draw would need a fairytale run to the title if they are to do so.